461 in stock Need More ? Reprint. Originally published: London: Kestrel, 1981. A Puffin Book - stories that last a lifetime. Puffin Modern Classics are relaunched under a new logo: A Puffin Book, all with exciting new covers and endnotes with author profile, interesting facts around the story and archive material. 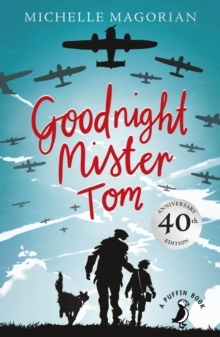 Goodnight Mister Tom - winner of the Guardian Children's Fiction Award - by Michelle Magorian has delighted generations of children. It's the story of young Willie Beech, evacuated to the country as Britain stands on the brink of the Second World War. A sad, deprived child, he slowly begins to flourish under the care of old Tom Oakley - but his new-found happiness is shattered by a summons from his mother back in London. As time goes by Tom begins to worry when Willie doesn't answer his letters, so he goes to London to find him, and there makes a terrible discovery. Also by Michelle Magorian:Back Home; Waiting for my Shorts to Dry; Who's Going to take Care of Me? ; Orange Paw Marks; A Little Love Song; In Deep Water; Jump; A Cuckoo in the Nest; A Spoonful of Jam; Be Yourself; Just HenryAlso available in A Puffin Book: BACK HOME by Michelle Magorian CHARLOTTE'S WEB, STUART LITTLE and THE TRUMPET OF THE SWAN by E.